Caroline Halliwell Illustration: The machines will take over! The machines will take over! 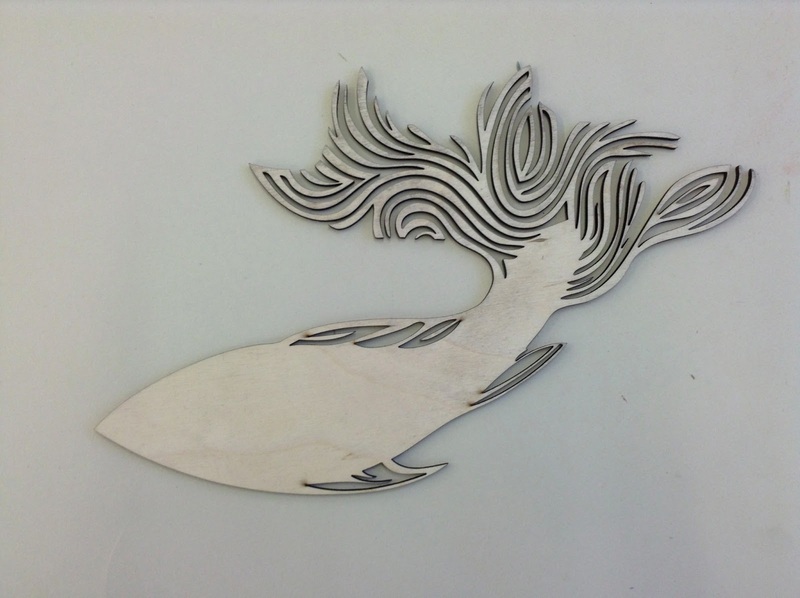 Had to share my excitement over my first use of a laser cutter. 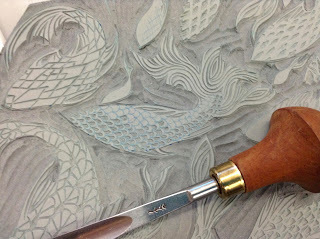 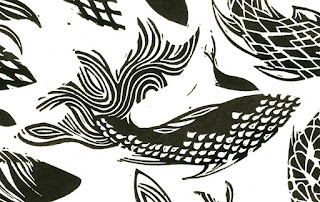 From a lino cut fish to a plywood fish in next to no time. 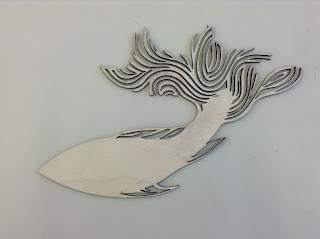 Laser cutting is blowing my mind.